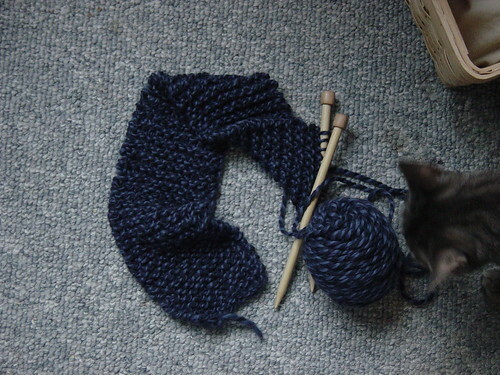 A quick note: this is probably the last time you will see this yarn and my attempts to make it into something useful. I know in my heart of hearts that the yarn will soften and feel a lot less like plastic with its first washing, but I just. can’t. stand. knitting with it. So I’m moving on, people. 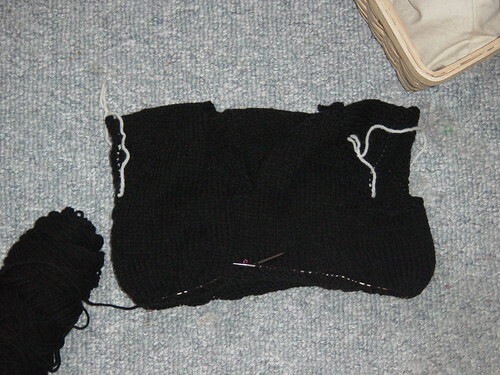 I’m going to be designing a yoke sweater for Mr. 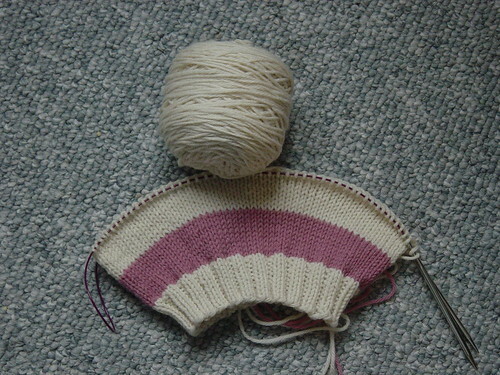 Interrupted (more on that later) and procuring some yarn for the Tangled Yoke cardigan for me. Bye-bye Red Heart Super Saver in black, hello KnitPicks March catalog! w00t! Hey, you really ought to just give that crappy yarn to the goodwill. Somewhere out there is someone waiting to love it into an afghan! Yes, get rid of the crap you don’t like. If knitting brings you joy, why remove it with bad yarn? I just got the March Knitpicks catalog too and was disappointed with the changes they made to the yarn pages. Oh well.